Do you wonder about the subjunctive mood and how it functions? 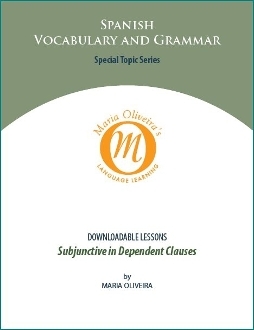 In this lesson you will learn to use the subjunctive in dependent clauses. This lesson offers guidance through the usages of the subjunctive in sentences. The Subjunctive is one of the most frequently utilized tense in the Spanish language.